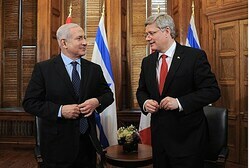 Prime Minister Netanyahu: “I want to express my pleasure at seeing Stephen Harper again. He’s proved he’s a real statesman, and Stephen, I think that what you did, severing ties with Iran, was not only an act of statesmanship, but an act of moral clarity. We’ve heard Iran talk about destroying Israel, even now, here at this current round of the UN General Assembly, and the fact that you took such clear, decisive steps is a great example to be followed by other nations, many of which attended a conference in Tehran and said nothing. I tried to say something yesterday, that I think reverberates now around the world, as you just told me, and that is to translate the agreement and principle of stopping Iran from developing nuclear weapons to practice. In practice, that means setting red lines on their enrichment process. It’s their only discernible and vulnerable part of their nuclear program. Prime Minister Stephen Harper: “Thank you, Prime Minister. It’s always wonderful to see you again and I look forward to discussing these very critical issues, obviously, our bi-lateral issues but some of these global issues. I spoke last night, certainly our country has not been shy about warning the world about the danger that the Iranian regime ultimately presents to all of us. As you know we want to see a peaceful resolution of all this and we work closely with our allies to try and alert the world to the danger this presents and the necessity of dealing with it. I look forward to discussing that with you, and our shared values. The head of the World Jewish Congress, Ronald S. Lauder, said that Canada should play a larger role in Middle East negotiations. Lauder met with Canadian Prime Minister Stephen Harper and Foreign Minister John Baird in Ottawa on Wednesday to discuss the situation in the Middle East, as well as the increasing threat of worldwide anti-Semitism. 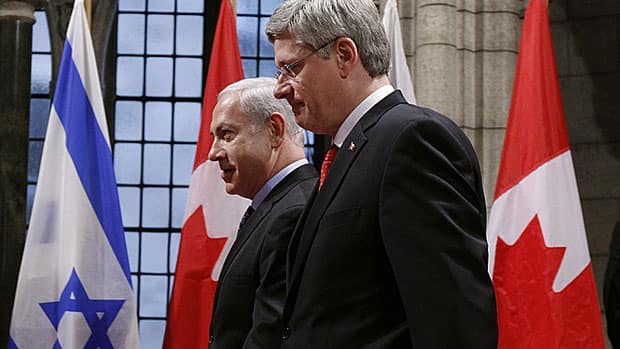 The Jewish leader asserted that with the new coalition government in Israel, it may be possible to restart negotiations “I believe that in the coming months, Canada can play a role and I think will be invited to play a role,” Lauder said in an interview with the Canadian Press. 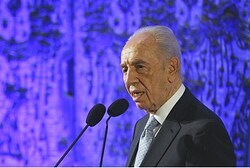 Israeli Prime Minister Netanyahu and President Peres visited Canada this spring to express support for the strong pro-Israel policies of the Harper government. “Canada’s long-standing position on a negotiated, two-state solution has not changed,” a spokesman for Baird said. “Our government always stands ready to work in a constructive way to help solve international disputes,” the spokesman added. “Today it is a very dangerous world out there, there are very few true leaders out there,” Lauder told the Canadian Press. 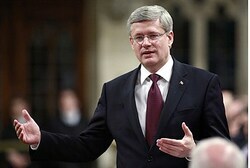 Lauder continued to state that Prime Minister Harper is “a true leader” who speaks his mind. Canadian prime minister Stephen Harper on Thursday published a statement wishing Israel well during its 64th Independence Day celebrations. 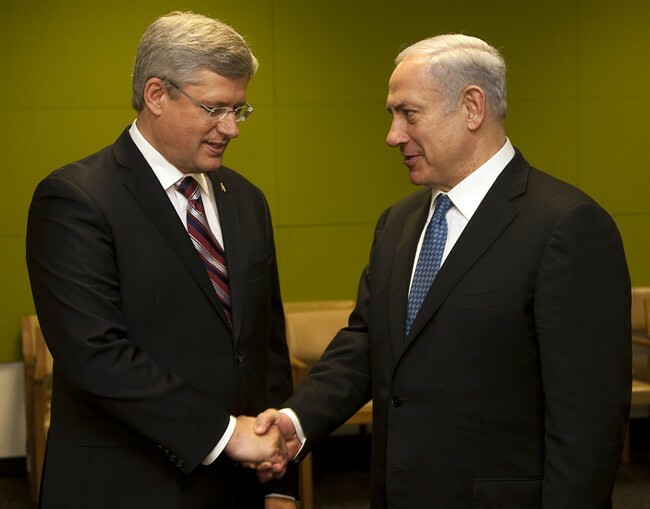 “On this special day, I would like to extend warm wishes to those celebrating Yom Ha’atzmaut in Canada, in Israel and around the world,” Harper wrote. “On this anniversary, we remember all that Israel and its citizens overcame to achieve statehood and we celebrate all that it has accomplished in the past six decades. “As I said to Prime Minister Netanyahu during his visit to Canada last month, our Government recognizes it is an especially challenging time in the Middle East. “Israel can rest assured that we will uphold its right to exist as an independent Jewish state as we continue in our efforts to promote peace and security in the region.